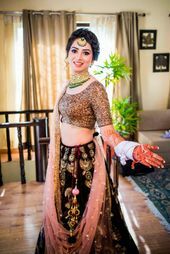 So once the wedding madness starts, sleep is going to be the last thing on your mind, and that's when you realise- they call it 'beauty sleep' for a reason! 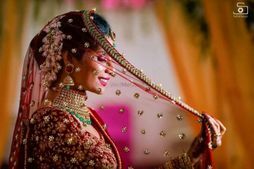 A puffed up face and undereye bags are every bride's nightmare, since every angle of your face is gonna be photographed! So how do you make sure you look fresh and glowing despite sleeping less than usual? Well, we got you some hacks! Katrina Kaif swears by this tip - just add cold water and a pack of ice cubes to a bowl and dunk your face in it for an instant pick-me-up. You could also put a few green tea bags in the fridge and then place them on your eyes for 1-3 minutes to de-puff your eyes and add instant glow. Have some water, herbal tea or juices time right after waking up instead of coffee. You can even have watermelon or pineapple, which are excellent fruits to hydrate the body. I'll say have a shot of potent cold-pressed oil just before you head out - A Turmeric one from Raw Pressery works just fine. Try the Wheatgrass shot if you want an instant heads-up. A coconut water juice or a spirulina-based one from Antidote is just fine! Try not to drink the night before the wedding or a big function, as it could lead to water retention in the morning. Avoid coffee or anything with caffeine in it in the morning. It might give you an instant boost- but that's what it is- instant. Won't last the whole day. If you must, try to have a small cup just for the mental satisfaction. Glam Glow is a newly launched range of face masks in India and we took them out for a spin recently. The Supermud (one in the white tub) is amazing for an instant clearing treatment for fresher skin. You can get these at Sephora.While you may not have the time for a face pack, a sheet mask is a quick and hassle-free way to soothe and pamper your skin in a jiffy! We like the ones from Innisfree available online here. You can pick one to suit your skin and your need! You can even try masks that really make an instant difference - a Rubber mask from Dr.Jart or a peel-off mask from Khadi Naturals. There are specific products for relieving stress and keeping you calm, invest in them a month before your wedding. Once you finish up with a function, just put on an Anti-stress Facemask from Anatomicals, a sleeping mask by Shiseido that's supposed to do wonders and a Dermalogica Stress Positive Eye Lift that calms your under-eyes. Try the Dirty Works The Big Chillout Bath Soak with Calming Chamomile that will give you a good soak so you can feel refreshed and rejuvenated. Avoid putting makeup until the time you can- let the skin breathe! Wash your face with a mild cleanser and moisturize first thing in the morning, put your SPF, eye cream, and a rich lip balm too! Follow the CTM routine properly but add a few steps too - a toner or an essence that will really make your skin shine. Our pick: The Son & Park Beauty Water that really works wonders. Tired eyes can really show very evidently. That's why, right after waking up, use cold spoons, cucumber slices or an eye mask like this one from The Body Shop to bring down the puffiness. You can even use some undereye hydration patches like these by Peter Thomas Roth, which is great for an instant pep-me up! Banish those dark circles with an eye cream which has slight diffusers that make the undereye area look brighter. Then follow up with a brightening concealer that's the exact same shade as the skin on your face. We like the YSL Touche Eclat that does the job well! Let makeup do the trick! When nothing else works, thankfully there's always makeup to fall back on! Always use a tinted moisturizer instead of a crazy foundation - it looks dewier. Skip the normal heavy mascara and try just adding vaseline onto your lids for that "just-woke-up" look. Apply a purple color-correcting shade like this one from Urban Decay to the high planes of your face, like the top of the cheekbones, the center of the nose, and top of the lip. It helps counteract sallowness and create dimension. You can even top it all up with an illuminating highlighter like this one from L'oreal! For better results, apply a bit of highlighter on your cheeks and apply the foundation on top so you look like you're glowing from within. Use a lip tint and not a heavy lipstick so you don't look heavier. Remember, cream blushes are better than powder blushes since they give a smooth polished look. ALSO READ: 10 DIY Overnight Beauty Treatments for Amazing Skin on your Wedding Day! 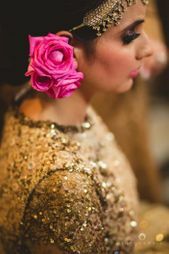 The night before the wedding beauty ritual: Do's and Dont's! 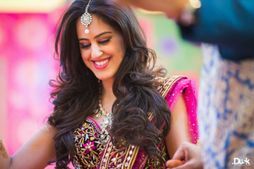 Legit Ways to Look Fresh and Glowing in the Last Leg of Your Wedding! How To Make Your Hair Grow Longer... Just in Time for the Wedding! How To Make Your Engagement More Interesting & Fun! 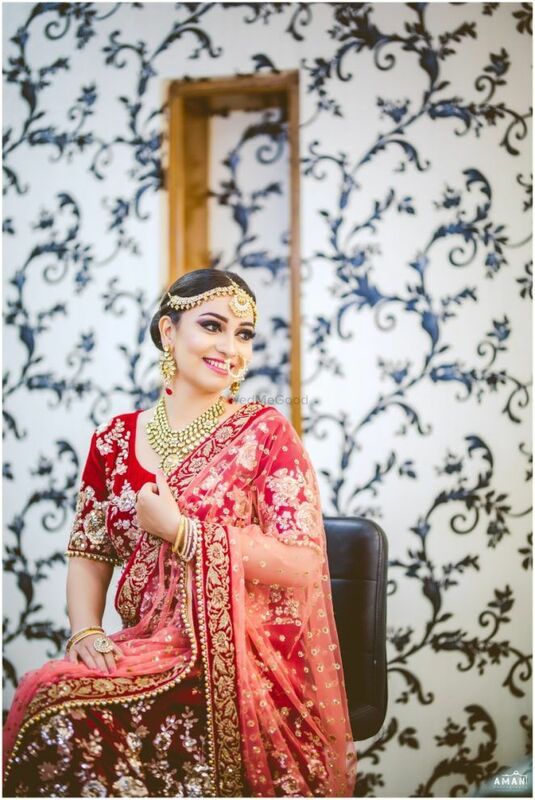 Want Radiant Skin On Your Wedding Day? 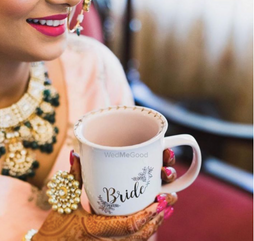 Here's How To Get Your Pre-Bridal Glow On!